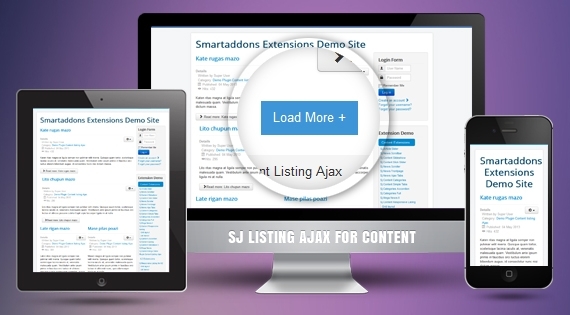 SJ Listing Ajax for Content supports Ajax to load more items, this is very flexible to configure the number of items that are loaded more. This plugin is developed for Content component and compatible with Joomla! 2.5 and 3.x. Please visit our demo to see how nice the plugin works. - Verified with JED Checker.